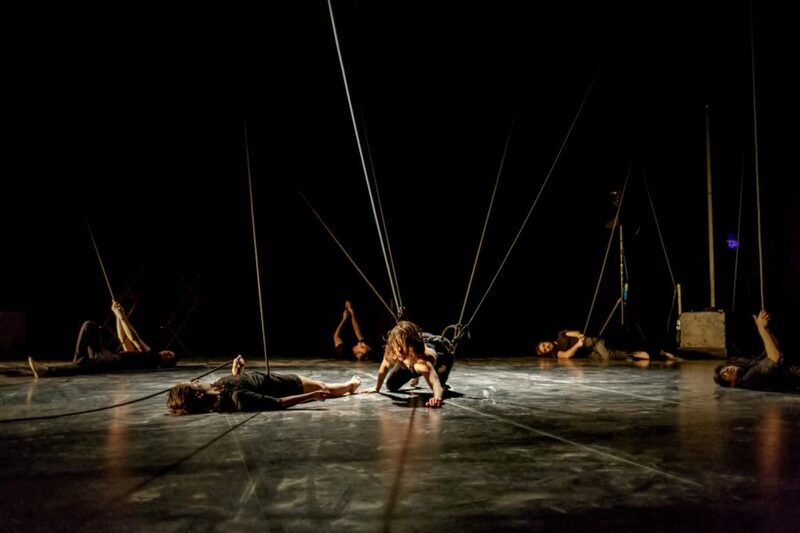 Following her successful debut show L’Oublié(e), which premiered in the UK at Brighton Festival 2015, Raphaëlle Boitel now presents 5èmes Hurlants / Uproar 5. In 5èmes Hurlants, 5 young artists showcase their incredible skills. 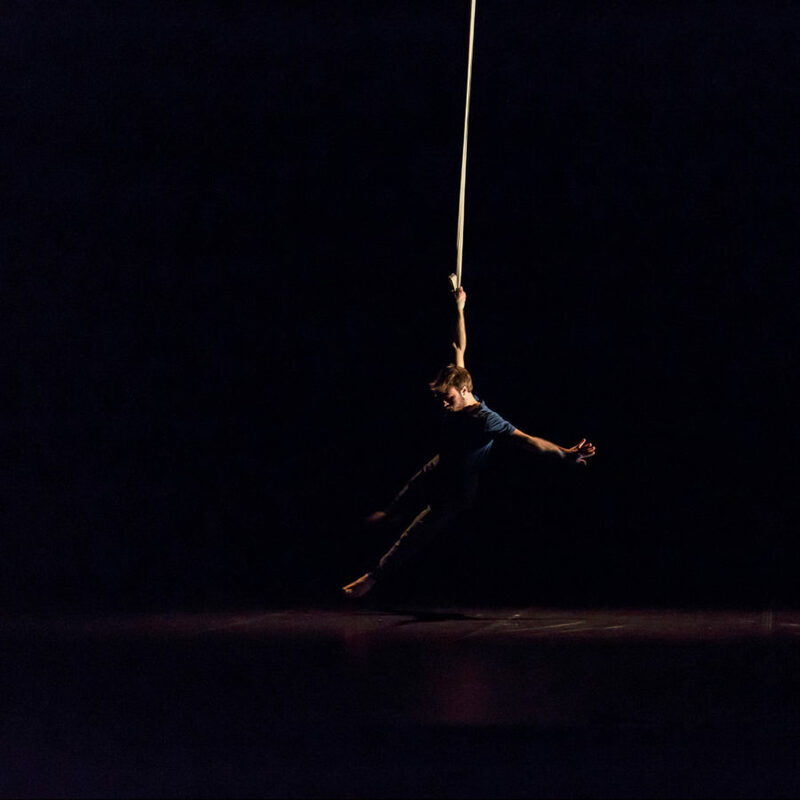 It’s all about physicality and perseverance: how circus artists interact with their bodies and their apparatus, whether it’s a rope, a trapeze or a hoop; how they’re making the impossible possible thanks to their intensive training and determination. 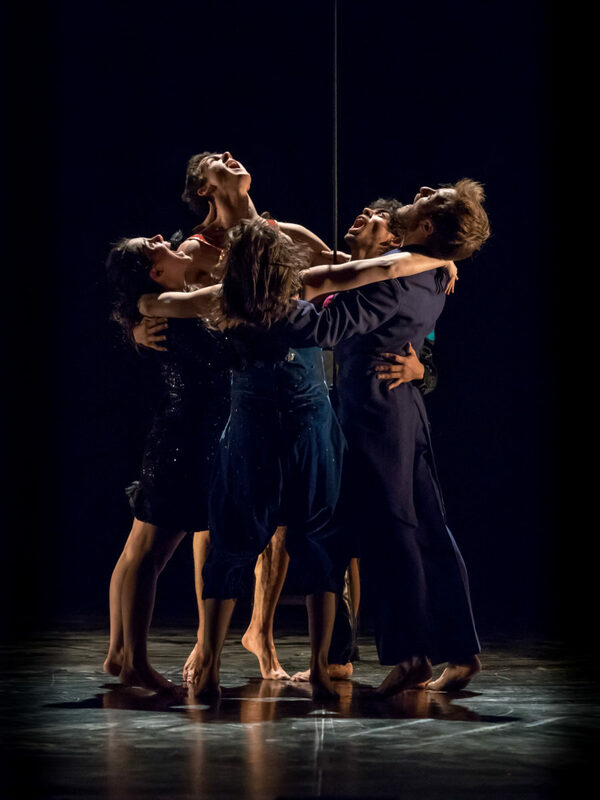 Fusing mind-blowing acts, 5èmes Hurlants is the perfect example of what contemporary circus has to offer. Raphaëlle Boitel met the performers at Annie Fratellini’s Circus School, one of the best in Europe. She has worked with them previously on smaller scale projects and now they are in the limelight and it couldn’t be more exciting. 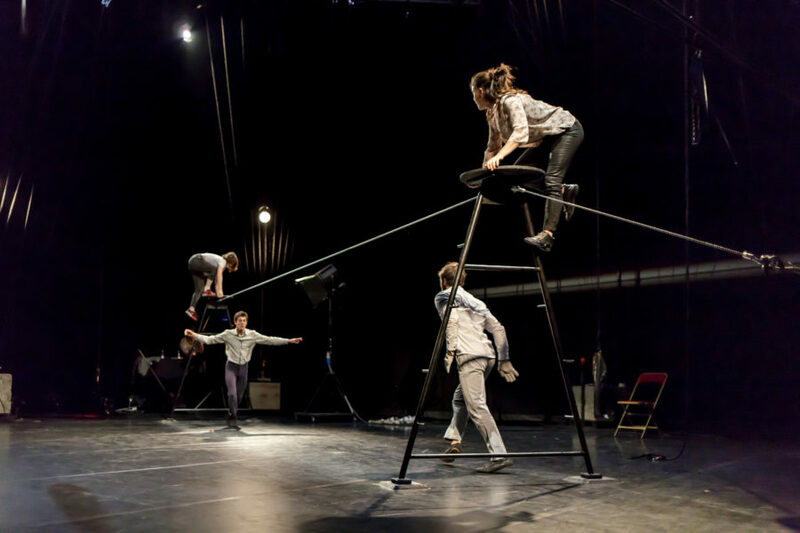 Sheer physical prowess, a dose of poetry and a life lesson, all told through circus. 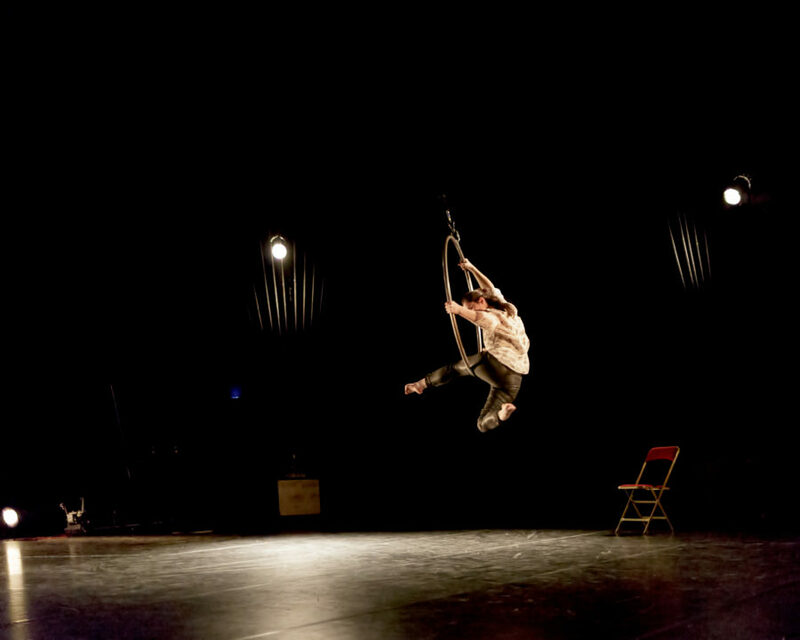 Raphaëlle Boitel is a circus artist with an impressive CV. Starting her performance career at the age of 13 she has toured with international artists like James Thierrée on his productions The Junebug Symphony (La Symphonie du Hanneton) and La Veillée des Abysses. Boitel has also presented her work at David Lynch’s club, Silencio in Paris. Most recently, she worked with Company 111 for Aurélien Bory’s new piece Géométrie de Caoutchouc, as well as choreographing Macbeth for La Scala in Milan alongside Gorgio Barberio Corsetti. Her first piece L’Oublié(e) premiered in the UK at Brighton Festival in May 2015 and is now touring internationally. This new show is set to confirm Raphaëlle Boitel is the next big thing to keep your eye on.